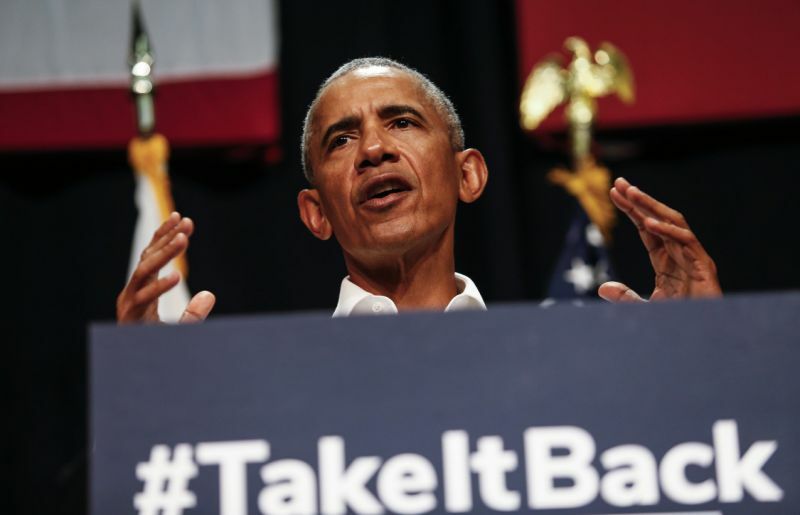 Former President Obama urges Californian voters "If we don't step up, things can get worse," and said "we have the chance to restore some sanity to our politics"
VietPress USA (Sept. 8, 2018): In 2016 Election, Hillary Clinton won over Donald Trump by more than 4 million votes in California and carried Orange County by 9 percentage points. A surge in immigrants has transformed California and its voting patterns. The number of Hispanics, blacks and Asians combined has outnumbered whites in the state since 1998. Meanwhile, new voters, largely Latinos and Asians, lean Democratic. Today on Saturday, Sept. 8th 2018, former President Barack Obama said that November midterm elections would give Americans "a chance to restore some sanity in our politics," taking another swipe at Donald Trump but he didn't mention President Donald Trump by name during his 20-minute speech in the key Southern California battleground of Orange County as he raises his profile campaigning for fellow Democrats to regain control of the House.